When it comes to loved ones, many will go to great lengths for them. To one, traveling into the future to find a cure for his daughter is worth any risk. 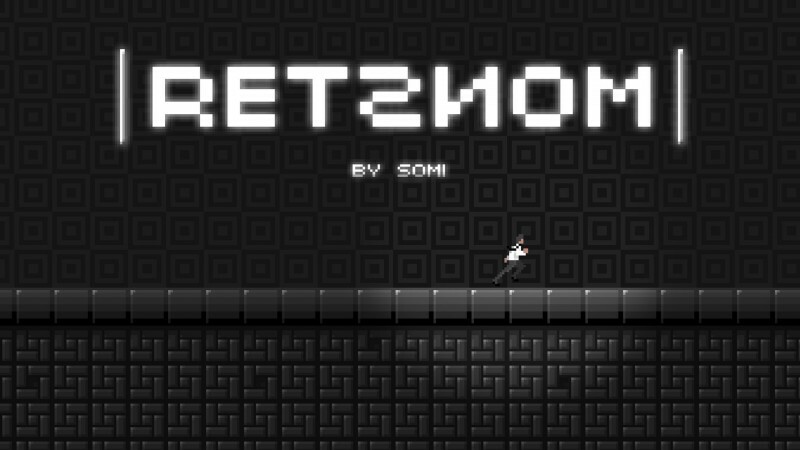 In RETSNOM by Somi, you are tasked in making your way through a laboratory filled with dead ends and zombies in hopes to find a cure for his daughter. RETSNOM will have you scratching your head as you try to think outside the box with its mirror mechanic, a unique setting that has you manipulating your surroundings. The story is set in a dark future. Civilization is on the brink of collapse from a zombie virus and a team of scientists is aiming to stop it. Unfortunately for one man, the cure is still years from completion, and with his daughter now infected, he jumps into the future in hopes of stealing the cure from the team. Doing so can end all civilization. The scientists, however, won’t make it easy by hiding it in a labyrinth with many stages to advance. The mirror mechanics within the game is the shining force of RETSNOM. You literally mirror your surroundings, which alters your landscape. Stuck behind a wall? Mirror it behind you. A ledge is only a step away which happens to be behind you, no problem. But what appears simple at first becomes more difficult and mind boggling as you progress. It gradually changes to having multiple switches at different points, some even mixed just outside your original flip, to proceed. The challenge is always finding the right path no matter how difficult it seams. Since the mechanic follows the concept of a mirror, there is more than just flipping. As with each revelation, the description defines the mirror effect, like a mirror disappearing from being fogged up that causes boxes to fade until you flip back. There’s even flipping upside down, which alters gravity as well as leaving you hanging from above. Keep in mind using the mirror mechanics can be used to fend off the zombies, smashing them behind walls or causing the floor below them to disappear. Simple yet challenging, RETSNOM redefines what a challenge is and how satisfying it can be completing it. Each stage takes you closer and closer to saving a young girl in this dark tale. The pixel art has you reminiscing the days of 8-bit games and how difficult they used to be. 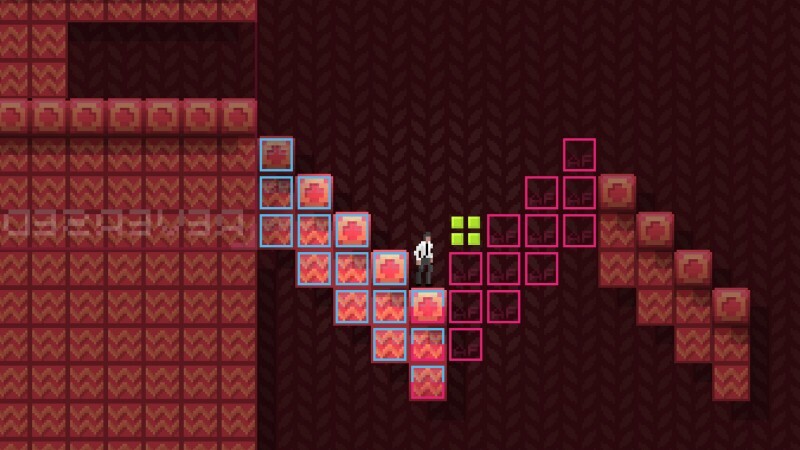 Be warned though, this game will leave you frustrated, but fully understanding each mirror mechanic opens the stage to near limitless paths. How you get there depends on how well you think outside the box.